In this fictional narrative, bright illustrations and key details will help readers follow along as Hilda picks a topic to explore. 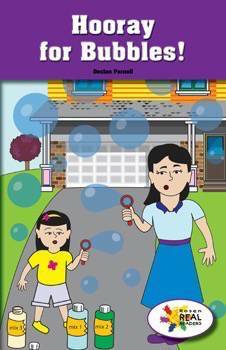 Along with the reader, Hilda analyzes and compares different bubble recipes and has fun in the process. This fiction title is paired with the nonfiction title Science with Bubbles.